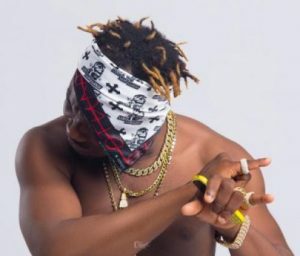 Otunba Lamba, Slimcase sent fans into wild frenzy with yet another breathtaking performance at the Obafemi Awolowo University (OAU), Ile-Ife, Osun State. The event tagged ‘Deydam Intro Party’ held at the Amphi Theatre Hall of the institution; and was overpacked beyond its brim as all and sundry came from within and outside the state to catch a glimpse their favorite star. The barricades were not enough to hold the overjoyed fans who couldn’t hide their excitement while they vibe along as Slimcase dished out an energetic performance with consecutive hit songs. The event was a monumental success as the fans had the time of their lives at the event.